If you’re like most home or business owners, you likely haven’t spent very much time considering the best roofing material for your building. In fact, you may not have considered the material currently being used on your building may not be the best for the job. At Karbella Construction, we’ve been working with home and business owners in the greater Mentor and Cleveland, Ohio region for years; this means we’ve seen it all. Our team knows the ins-and-outs of installing, replacing, or repairing the industries top products. It’s with this knowledge and experience that we can help you pick the right roofing material for your needs. One of the most commonly used roofing materials is asphalt shingles. This traditional roofing material is tried-and-true and has long been the standard for residential roofing applications. The benefits to using asphalt shingles include its long lifespan of typically 20 to 25 years, its ability to be installed over existing asphalt roofing material, and the simplicity of repairing or replacing damaged areas as needed. Cedar Shakes provide an elegant, desirable look to any home. When properly installed and maintained by a qualified cedar roof specialist, cedar roofs can last upwards of 35 years. At Karbella Construction, we recommend that cedar shake roofs are cleaned and repaired every two to five years to maximize their lifespan. For flat roofing applications, rubber roofing materials are preferred over all alternatives. Its flexible, durable, watertight nature ensures a leak proof environment for schools, commercial facilities, and warehouses. In addition to its long lifespan, rubber roofing is easy to patch and maintain, making it a no-brainer for facilities management professionals. If you’re wondering what roofing material is the best option for your home and business, stop by and meet with the knowledgeable professionals at Karbella Construction. Our team will walk through the project with you and help you determine the best materials to meet your needs. Karbella Construction is a licensed and certified roofing contractor serving the greater Mentor, and Cleveland, Ohio region. Recognized by HomeAdvisoras a Top Choice, Screened & Approved, Elite Service Roofing Contractor for 5 years, our team is eager to work with you on your new or existing asphalt shingle, cedar, slate, flat or commercials roof, gutters, or masonry project. 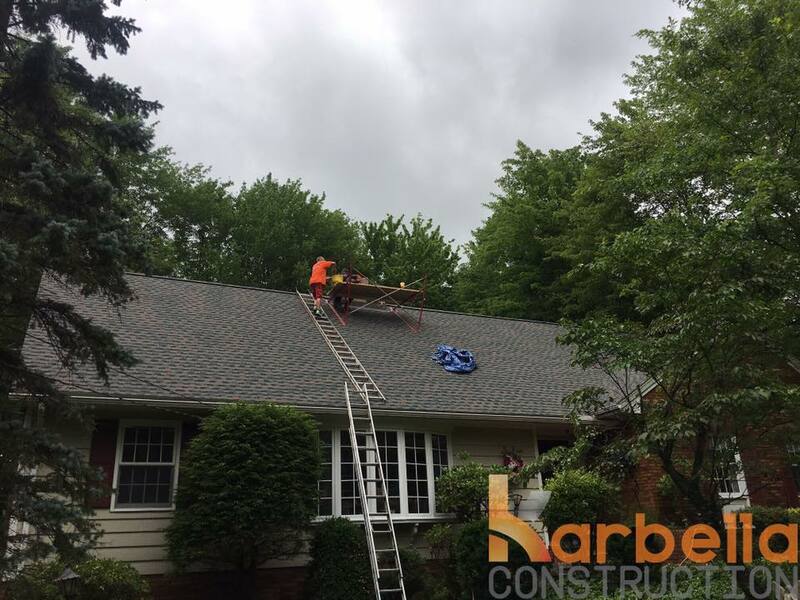 When you’re looking for the best roofing contractor in the greater Lake, Geauga, and Cuyahoga Counties, contact the team at Karbella Construction to see how we can help you. Visit us at 38341 Western Parkway Unit H, Willoughby, Ohio 44094 or call us at 440-742-2287.